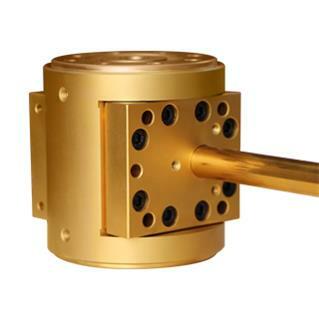 Gear pumps for extruder are widely used in plastics, resins, rubber and chemical products extrusion. 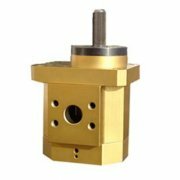 With the gear pump providing the pressure between the extruder and the die, extruder parameters can be configured to provide a homogeneous melt at increased throughout and tighter gauge tolerances. 1. 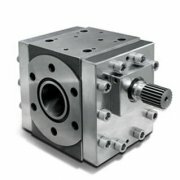 Design gear melt pump its application process there are three types of gear, spur, helical and herringbone gear. Spur gear manufacturing simple, low cost, and the strength to teach large, under conditions of high output pressure of having a larger effective volume output. 2. Helical gear self-cleaning ability, the material in the melt pump dwell time is short. 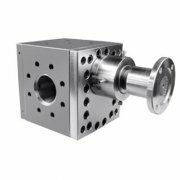 3.The pressure pulse apparent large size melt pump, the use of helical gear pump more suitable for discharge feeding speed of the melt pump in a small 200 --- 400 teeth / min range. As a melt pump extrusion manufacturer,Batte also supply thermoplast extrusion pump,high-viscosity melt pump and volumetric screw feeders for you. ◆Why must you choose melt pump extrusion for your producing?